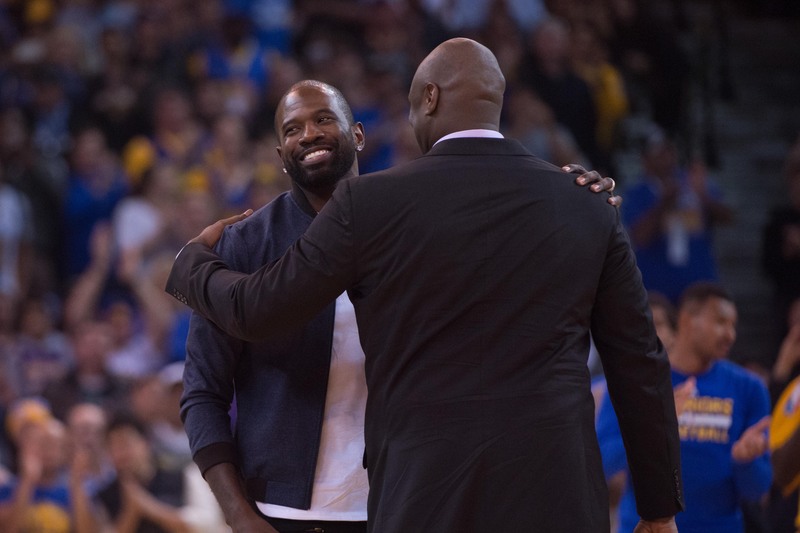 73 is a ticket that this Warriors team and their fans never expected to have. More accurately, it is a non-stop non-refundable route into the conversation of the best seasons and thus the best teams in the history of the NBA. While accomplishing this milestone without capping it off with a championship certainly would alter the legacy and the discussion, 73-9 is a ticket on its own. Over the course of the season, I had become engrossed in the prospect of the Warriors (or the Spurs, eventually) going undefeated at home because that would stand as a truly unbeatable feat, like Steve O’Neal’s 98 yard punt or Antonio Cromartie’s 109 yard missed field goal return. Going 73-9 is more like Rogers Hornsby batting .424 in a season or Wilt averaging 50.4 points per game in 1961-62: not impossible to surpass as a technical matter but incredible enough to provide legitimacy in some very big conversations. Unlike some who downplay those historical implications since they must necessarily be argued in the abstract, part of what makes this team and organization more broadly so special is their complete willingness to discuss their place. Joe Lacob’s “light years” comments were a little beyond the pale but the sentiment behind them leads to some of the most memorable stories in sports: historically great individuals and teams that embrace that at the time. 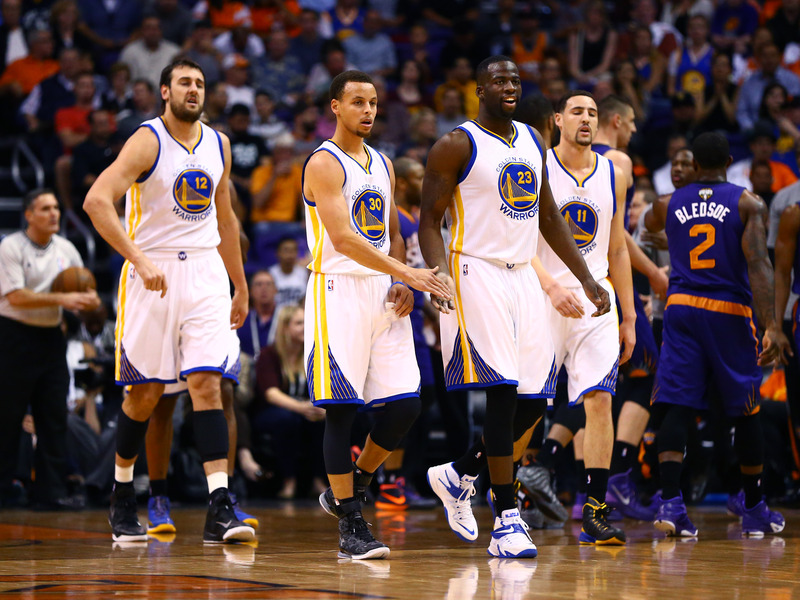 After Wednesday’s game, Draymond said that 73 “means I’m part of the best team ever” without any sort of qualifier. There is no way to prove it definitively either way but this achievement resonates as well as anything someone else could bring to their case. This team does not need it now but 73-9 also adds some luster to last season’s championship regardless of what happens in the next two months. 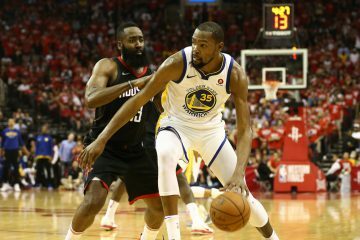 Even if it did not affect the eventual outcome, the 2014-15 Warriors did benefit from facing opponents at less than full strength throughout the playoffs. Running roughshod through the league in the regular season gave them that benefit but it was there nonetheless. Bringing back almost the same team and breaking 70 wins, much less the mark teams have been gunning for since MJ and the rest set it twenty years ago can and should change their overall legacy. A singular season like this is also somewhat different in the Bay Area sports landscape. This is not the Giants winning three titles in five years, the 49ers’ dominance in the 80’s or the A’s in the 70’s. This is more in line with the 1927 Yankees and the 1995-96 Bulls. 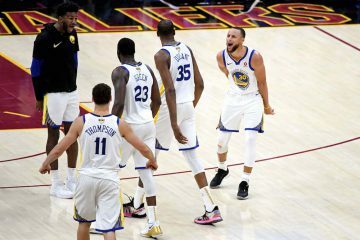 This Warriors group could end up bridging that amazing gap with time and continued success but the singularity of their near-term dominance is notable regardless. Steve Kerr’s presence on this team cannot be undersold as well. Some will focus on his experience winning titles and specifically that 1995-96 Bulls team but the biggest positive he brought to the table was the perfect mentality for this group of players at this point in their careers and lives. He struck an amazing balance this season of giving each individual the opportunity to succeed without placing a heavy physical burden on them, which actually ended up facilitating the run since the core stayed pretty healthy. In the Bulls’ 72 win season, Michael Jordan played 40+ minutes thirty-seven times. 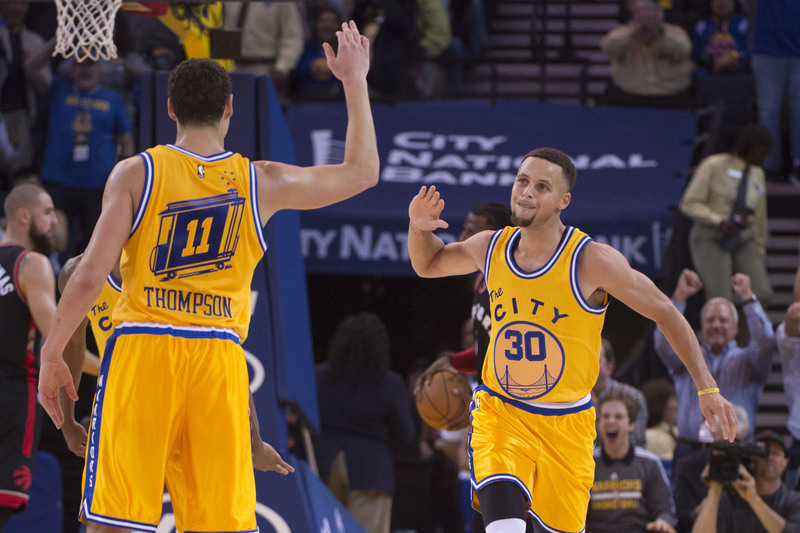 Stephen Curry did so six times, four of those coming in overtime games. 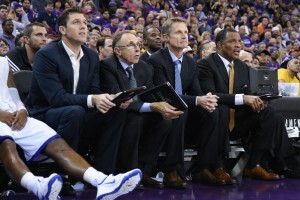 Kerr’s mentality allowed Golden State to avoid the big rest choice that Gregg Popovich has (reasonably) made ahead of time each recent season, acknowledging that in recent years Pop has coached teams meaningfully older than this Warriors squad. This collection of talent made such a dominant season without tons of minutes played possible by taking control of games early enough regularly enough to give their core a reasonable workload. 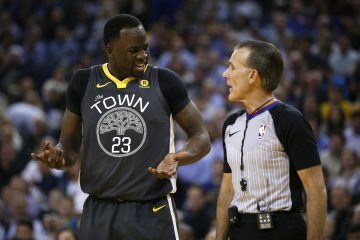 To paraphrase Draymond from last night, they had to play the games anyway. 73 also resonates because it is a true team accomplishment and one of the rare ones in an NBA regular season. 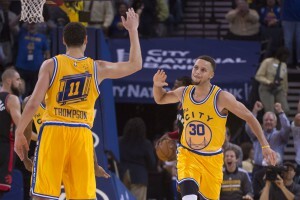 Big win streaks stand as the other (and the Warriors made history there as well, of course) and years from now I expect both the individuals involved in this journey and the fans to remember this with some extra fondness because it cannot be construed as anything but a team achievement. Guys who could potentially fall by the wayside in the playoffs played absolutely vital roles in this regular season, most notably Mo Speights and Brandon Rush. The season Golden State had three All-Stars and likely two All-NBA players would have been a seminal moment in franchise history but this takes it to another level. It also will linger with this amazing fanbase and the organization as a whole because the path to this point was earned and built over time on top of suffering. Recounting this team’s history is not necessary now but those stuggles change how this feels. 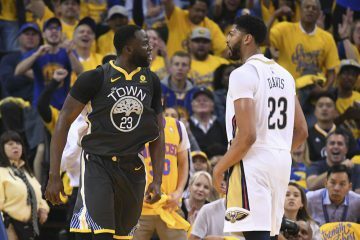 The franchise that spent decades floundering in disappointing obscurity now holds an immovable, undeniable place in league history alongside the dominant NBA franchises Bay Area residents grew up watching in the playoffs while the Warriors’ season had long been over. I spent a fair portion of Wednesday night thinking about the parts of that prior journey I experienced firsthand. My first game covering the Warriors with a credential was Stephen Curry’s first at Oracle. Don Nelson’s final season had a series of landmarks all its own but that organization would be unrecognizable to those who found the team recently except for the Baby-Faced Assassin and the league’s best fans. Everything has turned over but the building and the team’s excellent, underappreciated Vice President of Public Relations Raymond Ridder- ownership, fourteen of the fifteen players, the entire coaching staff and nearly the whole front office. No part of this season can or has to justify those dark times and the ones that came before but they provide a truly special context that has become a distinct and special prologue to their current dominance. One other point: The league has not expanded since 2004 and has enjoyed a major influx in talent from all over the world. For reference, most dominant teams like the 95-96 Bulls and the early 70’s Lakers and Bucks immediately followed expansion because that can help dilute and disperse talent while also creating an extra beatable team or two. This year’s Warriors did not get that benefit and are farther from expansion than any great team in NBA history. As important as that context is, 73-9 puts this team in every conversation anyway. 73 is a ticket to a place this franchise and their fans never dreamed they would see because it is too ambitious, too presumptuous. Coach Kerr was right to downplay the speculation early in the season because losing less than ten games is preposterous on its face. The inconceivable is now real and nothing that happens in the next two months or any time later can ever take away from what this team achieved. One thing that must be added here due to specific timing is that this will be my final piece with Warriors World. It has been an absolutely fantastic experience dealing with the readers, writers and everyone associated with this awesome collection of people. My heartfelt thanks to Del and Sheed for making this happen and working so hard to maximize the enjoyment and build a truly unique community not just in the Warriors landscape but in the league as a whole. I was a fan of Warriors World long before I started writing here and will be long after this. Thank you so much for reading and participating- your involvement and enthusiasm has made being a part of the Warriors World community a pleasure and a thrill.